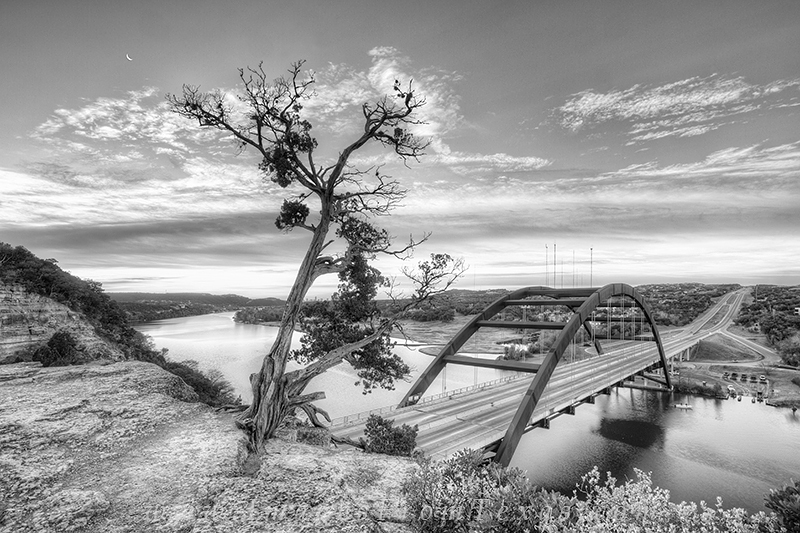 From the well known cliff overlooking the 360 Bridge, this black and white image was captured around sunrise on a cold, January morning. The crescent moon was rising in the east just ahead of the sun, the clouds filled the chilly sky. The Austin skyline can be seen between the branches of the tree. Photo © copyright by Rob Greebon.